Originally from Dittmer, Missouri, Dr. Page was drawn to science, specifically biology, at an early age. Her desire to help others in a creative and artful way drew her to dentistry. In 2003, She graduated with distinction from the University of Missouri at Kansas City – School of Dentistry with a doctorate in dental surgery (DDS). Following graduation, she decided to move to the beautiful state of Colorado and has been practicing dentistry ever since. 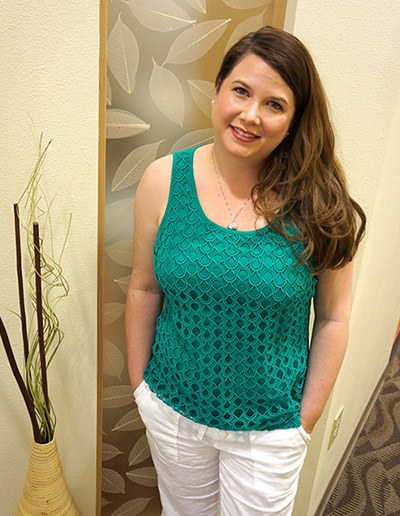 In 2008 she opened Page Dental Arts in the Ken Caryl – Littleton area with a desire to provide a different kind of dental experience that focused on comprehensive, comfortable care for the patient. Dr. Page and her staff continually strive to offer patients the latest advances in dentistry by completing continuing education courses and through active involvement in several dental associations. She is a member of the American Dental Association, the Colorado Dental Association, the Metropolitan Denver Dental Society, the Academy of General Dentistry, American Society of Implant and Reconstructive Dentistry (ASIRD) and Omicron Kappa Upsilon Dental Honor Society. She is also a member in multiple dental study clubs. Dr. Page lives in Highlands Ranch with her family. Together they enjoy traveling and hiking throughout Colorado.